In the history of United States communications, this day ranks right up there with the day of the Carterfone (Wikipedia) decision allowing any device to work on AT&T’s PSTN network. Today, almost 30 years later, Verizon chose to tell the world they will open up their wireless network to devices other than their own. The news may be even more surprising in light of the fact that Skype has been petitioning the FCC for this exact thing. How often does Skype agree with the carriers? Another surprise is the fact that Verizon is the first carrier to make such an announcement. Remember, this is the same company that routinely cripples the current devices they sell consumers. Amazingly, this development is exactly what I have been asking for. Most recently I wrote a piece titled Mobility as Strategic Advantage where I equated increased mobile device choice with increased national productivity. A mere eight days after this post, Verizon has done exactly what I requested. The big news? You will soon be able to use virtually any device on the Verizon Wireless network. It is well-known that the Verizon Wireless network is one of the best in the U.S. Sure this varies by region but in general this is the case. Consumers will now be able to mix and match the best network with the best devices. 1) Positive PR. Verizon has done what most would have expected only the government to make them do. 2) Relevance: Let’s face it; WiFi and WiMAX are only going to be more pervasive as time goes on… The sooner Verizon’s network gets entrenched in as many devices as possible, the better. 3) Playing catch-up with GSM: Let’s be clear that most of Verizon’s devices are not so useful to people who travel to other parts of the world that generally use GSM. Now Verizon has a solid reason for customers to stick with them as a service provider. This is because there will be more device choice and more than likely many more devices which support their CDMA/EVDO network and GSM. 4) Kindle: This is the first wireless broadband device which doesn’t charge you per minute of use. It is a new angle on selling broadband wireless service. 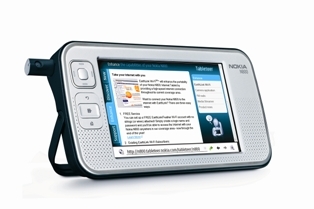 What would happen to Verizon’s sales if hundreds of devices like this appeared? 5) Verizon is currying favor with politicians: Google has made so much noise about opening up their devices if they win the 700 MHz spectrum, Verizon had to do something similar. There is one other reason why this move makes sense for Verizon. In my recent article focusing on productivity and device choice I argued that the nation with the most open wireless network will be the most productive. This argument applies to the network operators as well. The most wireless choice means roughly the most sales. This is especially true if all networks are created equally. If we agree Verizon’s network is superior to many others then the argument works that much better for the New Jersey-based carrier. In short, this news is absolutely huge and will change the telecommunications market for the better. 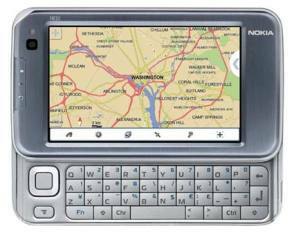 I would like to see the Nokia N810 and N800 on the Verizon network immediately and I may use it as my primary phone if this could be done. I would imagine either of these gadgets could even become the iPhone killer (or at least solid competitor) Verizon is searching for. For many years, the device choice in the US has been the laughing stock of the developed world. Now we are making positive strides to change this situation and it is possible this move will put us on par with other countries or even put us in the lead. Verizon should be commended for making this huge move first.